Concise Inorganic Chemistry For JEE (Main & Advanced) provides an excellent explanation of theretical concepts and practical applications related to inorganic chemistry. The book has been adapted to the new JEE syllabus, creating a complete guidebook for inorganic chemistry. 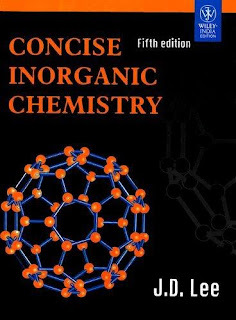 Concise Inorganic Chemistry 5th Edition by J. D. Lee, in its fifth edition has been thoroughly revised, yet it remains faithful to the principles that have established it as a favourite among teachers and students across the world. 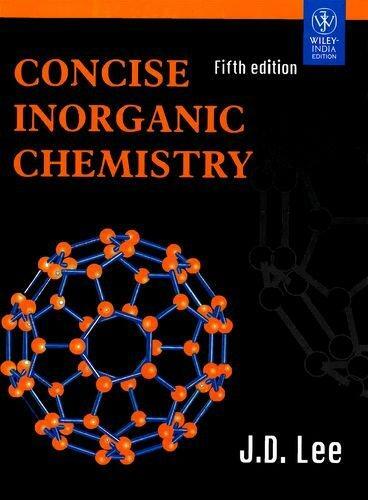 This book provides a concise and relevant treatment of inorganic chemistry and is written with such clarity that it is undoubtedly among the easiest to read among its competitors. It contains such illustrations and diagrams that makes it appeal very interesting to its readers. Though the number of numerical is a little less, but that doesn’t stop it from being the best read to grasp the basics and simultaneously develop a taste in Inorganic Chemistry. The best part of J. D. Lee Inorganic Chemistry book is that it is disintegrated into various fragments, which enables the reader to look up and find exactly the portion one wants to study. This is a very helpful book if you are preparing for JEE Main or JEE Advanced.